No service corresponds to your search. Our restaurant welcome you in its great tables highlighting the fresh and local seasonal products. Shaded terrace, quiet garden. Restaurant “Logis 2 casseroles” labeled Step Savoureuse. Have a meal with views of the Ardèche Valley in a minimalist setting bathed in light. Market dishes made using local seasonal produce. 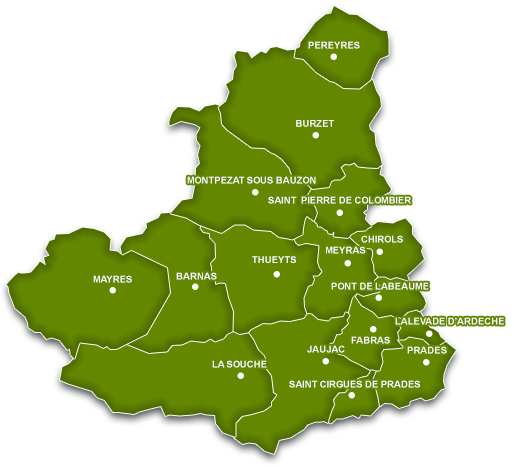 Our restaurant is approved by “Les étapes savoureuses Ardèche” and “Goûtez l’Ardèche”. Restaurant, spaghetteria, crepes, salads, ice-creams and italian pasta, In the center of the Village de Caractère of Meyras, all along the frescos route. Shaded terrace. Sample the best of the Ardèche: Ardèche cured meats, trout dishes, goat’s cheese and seasonal produce such as ceps, chestnuts, blueberries and more.